[Updated]Super Junior in a Magic Show. I just browsed around allkpop and i found this article on Sung Min’s Magic. Yeah, it is Sung Min (Super Junior) on Star King. Actually, the Pretty girls is the Magician, Kim Jan Di and she was using SungMin as her assistant (sorry for the wrong information). All the boys were standing up while watching Sung Min performed the pretty magician performed with Sung Min. At first i thought it is Sung Min performance but after watching the whole show, it was the girl who is the magician. Two thumbs up for Sung Min, i was amazed too. He was so full of confidence that i thought it was his performance., and so did his assistant. All the boys were then lined up to be the Magician‘s assistant. For the rest of the show, check out below (for The Pretty Magician part is on Part 4). Hope you guys enjoyed it! 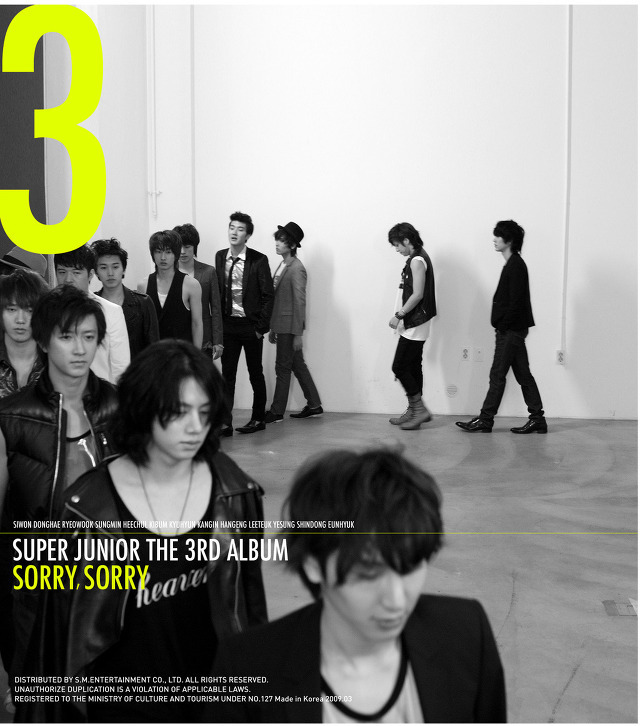 This is the new 3rd album of Super Junior. All with new styles and new song ‘Sorry Sorry‘. They will come in March 12. Thank you so much for visiting my blog and dropping you comments! I am very appreciate of what you all have done. It's already passed 1,6 million visitors!! Thank you so much!! Let's us all keep supporting Kim Bum and Kim So Eun no matter what. Because of them, we are all here together! credit: MBC Music and Lyrics. [Drama] Kim So Eun’s Happy Ending (2012) – English Subtitle. [Drama] ‘Secret Angel’ Final Episode – English Subtitle. [Drama] ‘Secret Angel’ Episode 9 – English Subtitle. [Drama] ‘Secret Angel’ Episode 8 – English Subtitle. [Drama] ‘Secret Angel’ Episode 7 – English Subtitle. [Video] ‘Secret Angel’ – Behind The Scenes. [Photos] Sneak Peek to ‘Happy Ending’. [Drama] ‘Secret Angel’ Episode 6 – English Subtitle. [Drama] Kim So Eun in "Empress Chun Chu" (2009). Kim So Eun Photos from No Cut News. [Drama] 140312 Kim So Eun's New Chinese Drama 'Secret Angel'. More on Bonjuk Winter Edition. pooja on [Show] ‘Music & Lyrics’ Episode 2 – English Subtitle. kukoyi shukuroh on [Photos] Kim So Eun in ‘Happy Ending’ Press Conference – Part 1.
jane on [Drama] Kim So Eun in ‘A Thousand Kisses’ (2011). ashtoh on [Drama] Introduction to ‘A Good Day For The Wind To Blow’ (2010).